This is a beautiful creative math game! Start by choosing the number range to practice - you can choose from hundreds up to millions! A number will be presented on the top of the screen. A sentence will ask you to identify a certain digit in it. Click the correct digit and have a structure added to your city. A three digit number appears on the screen. A sentence will appear on the top of the screen, asking you to click the ONES digit, the TENS digit, or the HUNDREDS digit. After clicking correctly, a duck will come swimming in the water. Your aim is to collect 10 ducks. 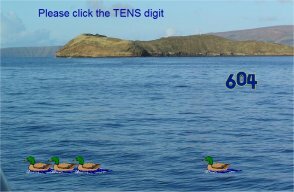 This game is similar to the "Collect the Ducks" game, but is practicing four digit numbers (it includes the THOUSANDS digit). A number appears on the screen, along with a sentence asking you to click one of its digits (the Ones, Tens, Hundreds, or Thousands). Every successful click will send a ship into the lake. Try sending 20 ships. Starts with 3 digit numbers, you can choose to increase it gradually up to 7 digit numbers! Click the correct digit according to the order given above. 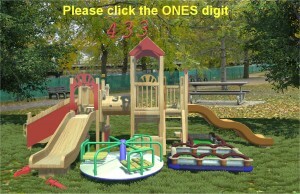 Watch as the number falls and joyfully interacts with the playground environment. It starts from 3 digit numbers, after 10 answers a message appears giving you the option increase the numbers to practice, adding every time another digit to it. Click the "Start" button to start the activity on the game's page. A question will be given in the following format: "What is the place value for ten thousand in the number 297123?". The answer would be given by clicking the number 9, because this is the numeral in the ten thousand's place. In every trial you will be presented with a question about the value of digits in a big number. Click on one of the four numbers which has the correct answer. With every correct click, a fairy will give you a star. Try to collect all 10 stars within the two minutes given. 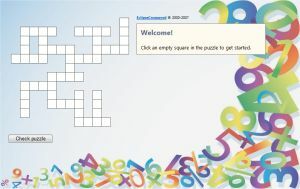 In this interactive crossword puzzle you will practice the concepts of identifying digit values, defining numerals in words, numbers in expanded form and simple calculations with base ten units. Practice various place value concepts with this fun interactive crossword. Numbers up to 9,999. A number will be written in words at the bottom of the screen. Shoot the airplane that has this number in digits by clicking it. Try to be quick, the planes are gradually descending, don't let them hit the eagle. Speed and number of planes will increase along the game. 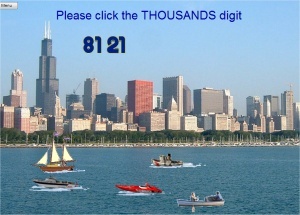 Use the buttons of 1, 10, 100 and 1000 to create the target numbers. For example, if you get the number 3200, then click twice the 100's button, and three times the 1000's. 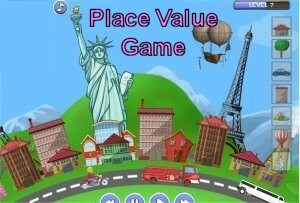 Every button will also add a part of the village, such as furniture, houses or trees. There is also an Undo button in case you made a mistake. When you finish making all 15 numbers, you will step inside the scene and visit your village! 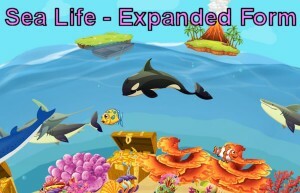 Let's use our expanded form skills to recreate the magnificent deep sea! You get to play the submarine kids explorers, that by answering correctly to the problems that appear, get to add fish, plants, corals and sea shells. 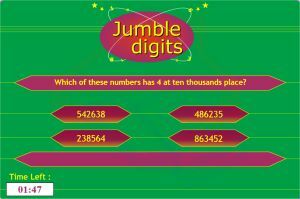 There are two difficulty levels to choose from - 3 digit numbers or 4 digits. Three numbers will appear in a box at the bottom of the screen. For example: 400 , 8 , 70. Combining these three numbers together creates a new number (eg. 478). Your job is to click the hot air balloon that has this new number. 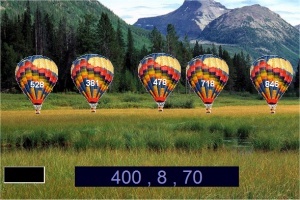 A target number will appear on the screen. 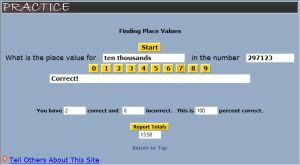 The aim of the game is to replicate that number, by pressing the four numbered buttons with the values: 1, 10, 100 and 1000. A short fireworks show will appear after every successful trial. 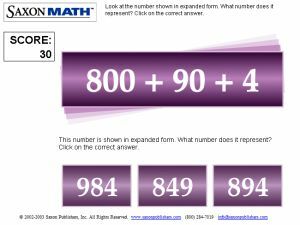 A number will be represented in expanded form, as an addition problem, for example: 800+90+4. Find the number below that is represented by the expanded form, and click it. You will get immediate feedback for every click you make. Numbers will appear in an expanded form addition problem, such as: 30000+4000+800+90+1. 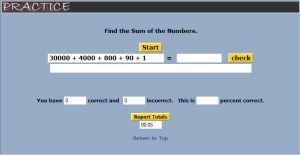 Type the sum of these numbers (in this example: 34891), and click the "Check" button. 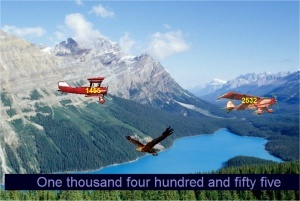 An addition problem will appear on the screen, in which the numbers 1, 10 or 100 are added to another number. 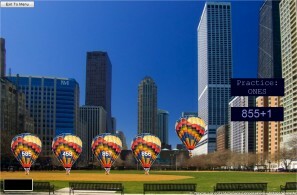 Five numbered hot airballoons will appear as well. Click the hot airballoon that has the problem's solution. Various math questions, mainly of number representation with base ten blocks and expanded form. 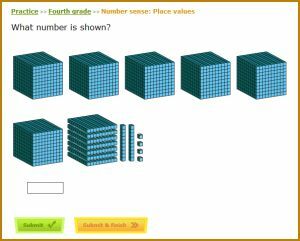 This page contains all sorts of fun, free online unblocked activities that can help kids in grades 2 and 3 learn about place value and number placement. Students will learn about where individual digits are placed in a larger number as well as the name of each place as they go along. There are also activities to practice expanded form and expanded notation - both important concepts in any young student’s math curriculum. Some of them make use of base ten units and also base ten blocks, which will be familiar to the young students. All of the activities are highly interactive and provide the educational concepts in a fun, engaging manner to keep students focused and learning.